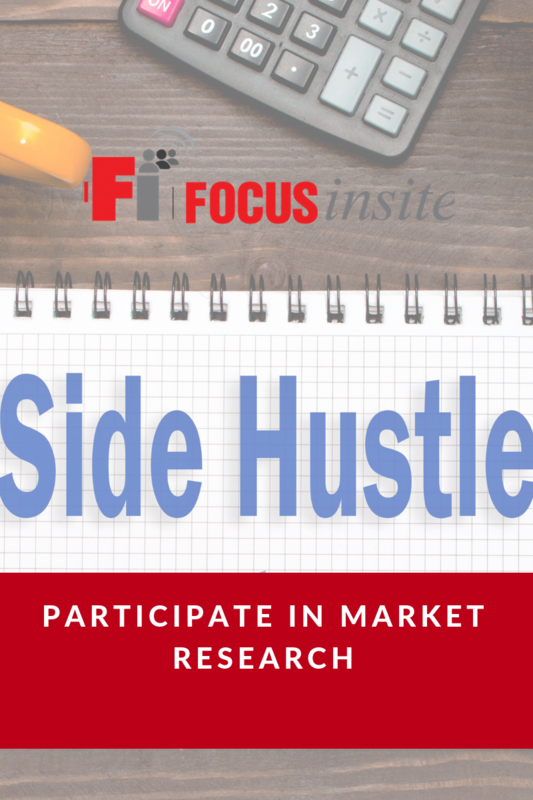 By now many of us are well acquainted with the term “side-hustle” or “gig economy.” Increasingly, more people are finding ways to either supplement an income or cobble together income from various sources and “side hustles.” Participating in qualitative market research is one such way to earn some extra money, without too much inconvenience. Many businesses, non-profits, and public-sector agencies will hire market research firms to probe consumers about their attitudes or insights around products, services, or spending priorities. To find the appropriate consumers for a study, market research firms often turn to professional recruiting agencies to help them find suitable participants for focus groups, surveys, or individual interviews that meet the demographic/geographic parameters appropriate to the study. In exchange for the participants’ time, they are paid in cash, gift cards, or sometimes merchandise. The type of payment and the value of the payment depends on the type of study a participant is recruited for. Participating in a focus group is one of the higher-paying market research opportunities, mostly because it requires more of a time commitment (one-to-two hours typically), and there are usually travel logistics involved. Focus groups are often conducted in neutral settings, such as a public library, co-sharing office space, or hotel conference room. These factors are why the pay is usually higher if selected for a focus group. Market researchers tap into a number of different methodologies to better understand consumer insights. Focus groups allow researchers to dive deeper into a subject while surveys allow them to get a broader view of the landscape. Surveys usually require a lot more participants, are typically done online, and take a lot less time to complete than a focus group. While the pay for survey participation is usually less than a focus group, it’s more likely a participant will be offered the opportunity to partake in multiple surveys over the course of a year, whereas being selected for a focus group is less likely. Individual interviews fall somewhere between a focus group and a survey. These interviews are usually conducted over the phone, so they’re convenient, but they do tend to require more time than filling out a survey. Individual interviews, or IDIs, as they’re known in the industry, require the same attention to participant selection and screening as goes into a focus group. Selecting the right candidates for the subject matter, while also paying attention to demographics and geography, is more intensive for the recruiter. Pay wise, IDIs fall between a survey and a focus group. While they do take more time to conduct, there are fewer logistics involved. A few words of caution before signing up with a recruiting company to participate in market research. While most recruiting companies are reputable, there are a few things you’ll want to look out for. Ask if the recruiting company abides by a Respondent Bill of Rights; ask about their privacy policies; and if you’re ever asked to pay a fee, then you need to look elsewhere. Focus Insite prides itself of its reputation, professional code of conduct, adherence to a Respondent Bill of Rights, and its many returning and repeat participants in market research studies. To get in our database to participate in market research—click here!